In the last post I mentioned that I was going to try spray starching my block instead of using a tear away stabilizer on the back. I did try that, and it worked beautifully. So no more stabilizer! That saves a tedious step in the process. I would still want to use the stabilizer if I were doing a satin stitch, but for the blanket stitch it is not necessary. 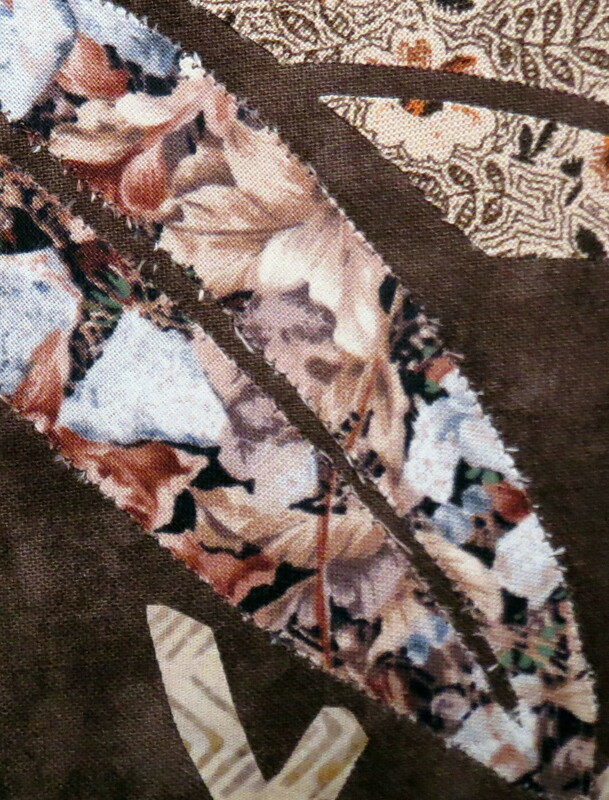 After starching all the light squares for my quilt, I finished the stitching on all the applique. For these blocks, I had spray starched the applique fabric (on the front, to avoid affecting the fusing process) and thus had a minimal amount of fraying around the pieces. I am now working on the dark blocks. In my rush to make the blocks, I managed to forget about starching the applique fabrics ahead of time. 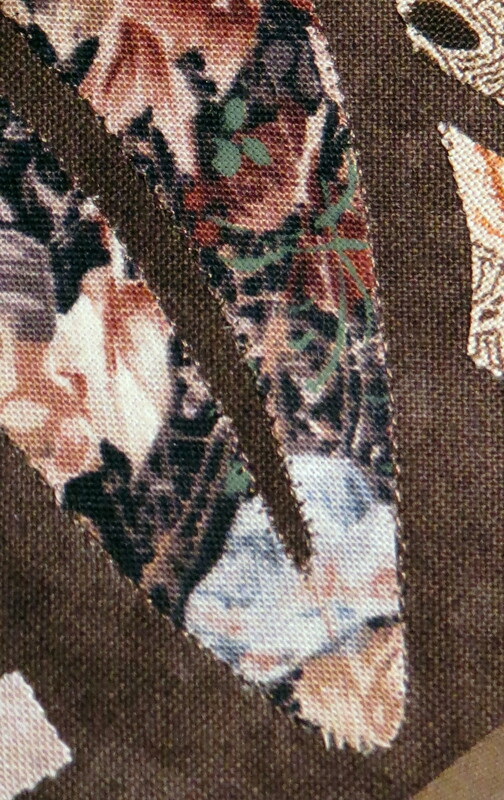 My first machine stitching resulted in a lot of fraying and I was not happy with the result. So the next thing I tried was to spray starch the whole block, front and back. This avoided the need for the stabilizer and also resulted in a much cleaner look to the applique on the front, as you can see by comparing the two photos below. I think there is going to be a lot more spray starch in my future. Before committing to it I will have to rinse out a couple of blocks and make sure the fraying doesn’t happen later, but so far I am pleased with the results. This is a much faster way to get a good result. Of course if you do this be careful about breathing the fumes! This entry was posted in applique, Art Quilts, machine applique and tagged Japanese Family crests, Machine Applique, spray starch, stabilizing with starch on December 23, 2013 by Shirley at Mystery Bay Quilt Design.